How Long Have These Diamond Cuts Existed? The old mine cut has been around since the 1830s, and it was popular up until the turn of the century. It is widely considered to be the forerunner of the modern-day brilliant cut. 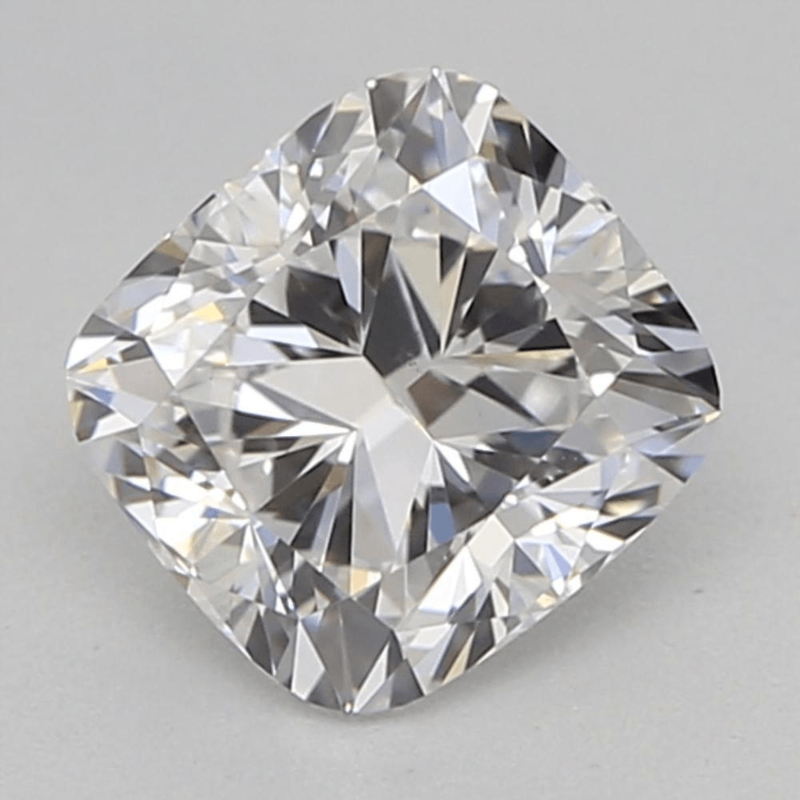 The cushion cut, also referred to as the “pillow cut” because of its shape, has been around for almost two centuries. Cushion cut diamond engagement rings were the de-facto choice until the 20th century, before the round cut replaced it as the most widely-used cut. Both the old mine and the cushion cuts are considered Old World diamonds. These are the diamond shapes that precede the brilliant cuts, and also include the rose and the European cuts. Generally favored by antique collectors, both of these cuts have a square or cushion-shaped girdle outline. In comparison to modern cuts, both the old mine and cushion cuts are cut deeper and have enlarged culets. Technically speaking, the old mine cut is actually a modified cushion cut, because of its rectangular outline and rounded corners. However, the cushion cut has been refined over the years, giving it distinct qualities that set it apart as its own cut. What Are Their Basic Differences? Old mine diamonds were not cut under electrical lighting, which resulted in less scintillation and fire compared to modern-day cuts. They were also cut by hand, so they had larger facets and more weight. With the invention of electricity and new cutting tools such as the diamond saw, the faceting process was improved, and the diamond’s cut reflected light much better. The antique cushion cut went through subtle changes over the centuries, such as the shrinking of its culet and the widening of its table. Unlike the old mine cut, there doesn’t appear to be a hole in the middle of this cut, which indicates that the culet has been reduced to increase its ability to shine. The cushion cut is one of the most beloved and best vintage diamond cuts. Its subtle refinements over the past decades have resulted in many vintage jewelry aficionados demanding this cut. Antique jewelry enthusiasts looking to capture a bygone era are likely to find old mine cut diamonds in old estate auctions and through antique dealers. 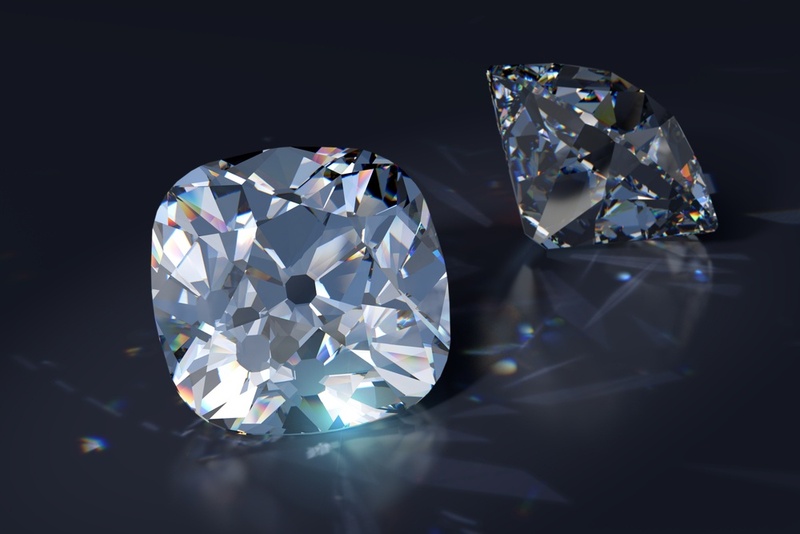 Not all diamond-cutters have the skills and knowledge involved in Old World diamond cutting, so this cut is challenging to find outside of antique sales, and you may have to commission a custom order from a trusted jeweler. Now that you know the difference between the old mine cut diamond vs. cushion cut, you can choose which cut works for you and your vintage aesthetic. Cushion cut diamonds are widely adored, and as such, they’re fairly easy to find from most jewelers. If you’re up for a challenge, then a hard-to-find old mine cut diamond may be more your speed. Either way, make sure you’re getting the diamond you’ve always wanted: there’s no compromising when it comes to a statement so important!